If you’re like us, there is rarely ever any cable programming to look forward to. This story about the only repeal in U.S. Constitutional history challenges that. 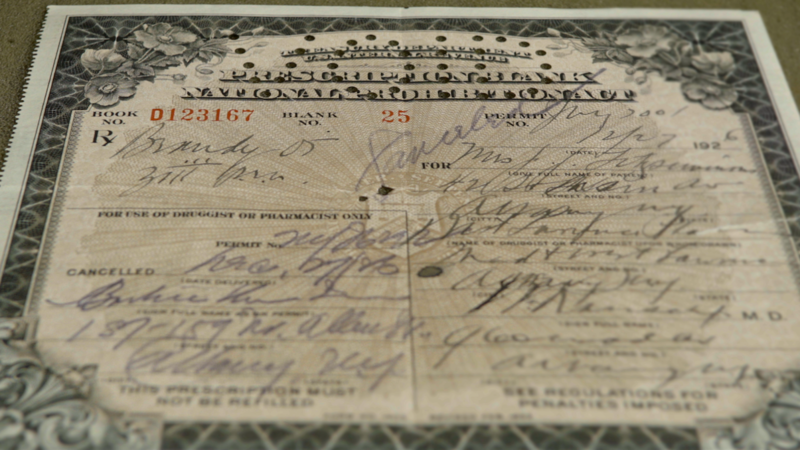 The Smithsonian Channel is here with a two-part Prohibition era documentary releasing this month. Prohibition led to Organized Crime, a rebirth of the KKK and served as a dress rehearsal for the War On Drugs. It also sparked the idea of federal government expansion and entrenched the habit of the feds intervening into the lives of American citizens. In this fascinating look at the 13-year period, Smithsonian reminds us of the unintended consequences of focusing on a law and order agenda over human desperation. 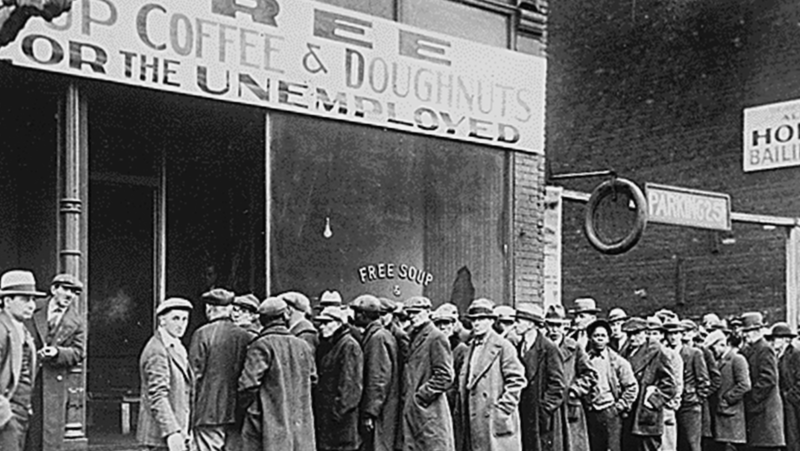 Many forget that Prohibition ran parallel to Great Depression when the stock market lost $14B in one day. Here are some other fun facts we learned. The government put no money into enforcement leaving local municipalities to deal with the law change. The issue of a cops salary matching what a dogcatchers earns made them easy to corrupt. 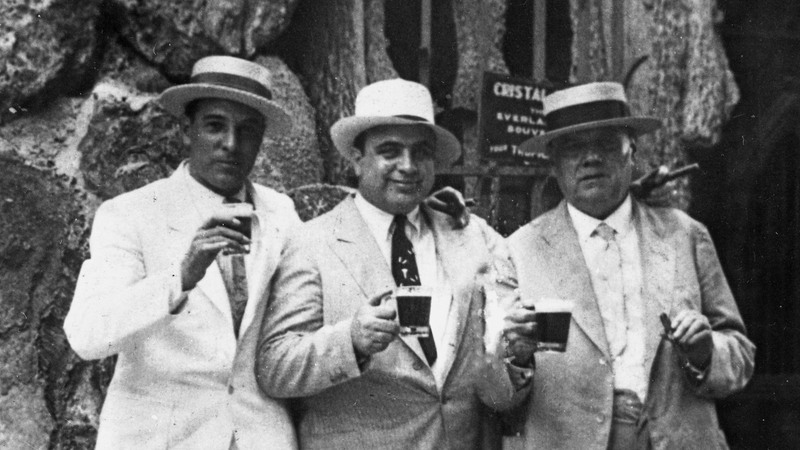 Al Capone lived in a working-class neighborhood and achieved celebrity gangster status as respect for law lessened and crime reached an all time high. Supplying a multi million-dollar industry that vanished overnight was both lucrative and bloody. Capone’s crew could afford assault weapons that never made it to World War I.
Nicknames for these guns included Chicago Organ Grinder and Chicago Typewriter.He was above the law until the law was changed and all income legitimately or otherwise needed to be filed and claimed. 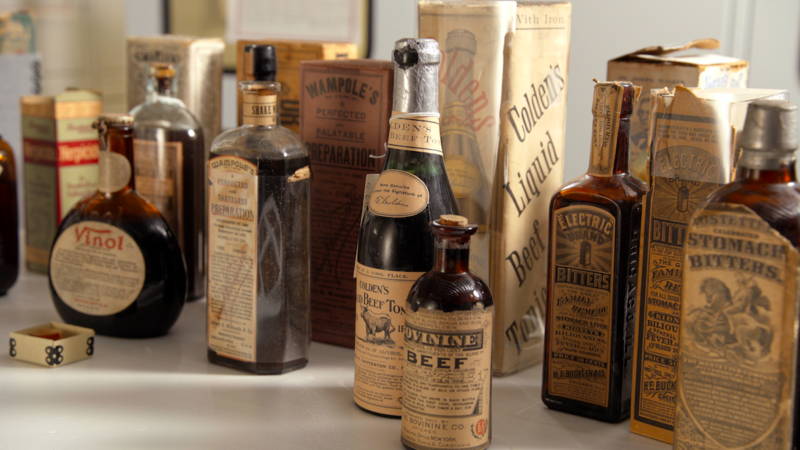 During Prohibition the manufacture, transportation, import/ export was illegal but not consumption. We don’t tolerate freedoms being taken away; we create drinks making fun of those who try. Scofflaw – The winning name in a national contest from Prohibition supporters to describe lawbreakers. Three Miles Out – made in response the law that you could be three miles out from the coastline and be granted maritime immunity to the drinking laws of land. St. Valentines Day Massacre happened two months after the 31st President Herbert Hoover was elected. He immediately launched a war on crime. On his watch 10,000 Americas were poisoned and killed when toxins were added to industrial alcohol as a chemical enforcement on the ban of liquor. Federal sentencing was so severe that a father of 3 could serve up to 15yrs for having a pint of alcohol. Overwhelming themes in the documentary deal with the notion that during WWI Americans viewed first generation Germans as spies. Many would argue that the rise of mass incarceration occurred at this time. Poor and minority users were targeted with stiffer penalties. An empty pocket was known as a Hoover Flag. The President wanted all federal resources aimed at Al Capone despite the worst economic disaster in American history crippling the nation. European immigrants, who drank beer with meals, were the targets of a political fight by those who considered themselves “Good American Christians”. 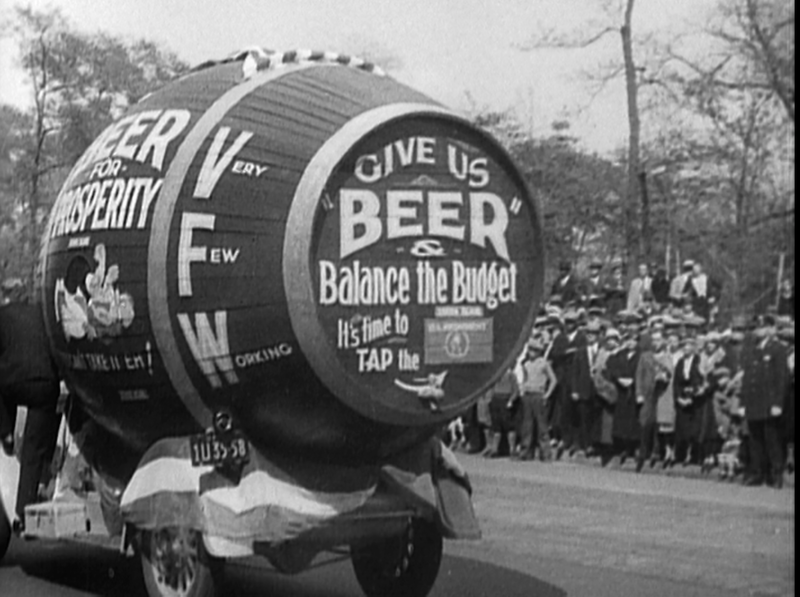 9 days into office FDR legalized beer sales again with The New Deal. 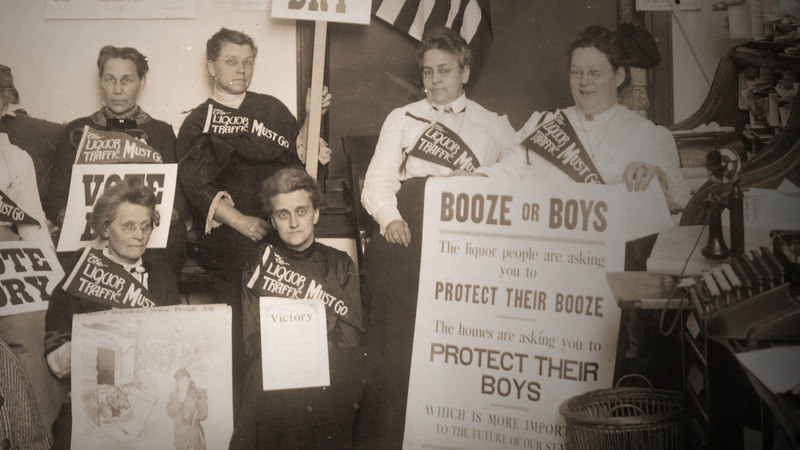 Prohibition was a troubling time that threatened the existence of our contribution to the world. Instead of drinking less we found new ways to drink. A repeal took place shortly after the wealthiest families in America spoke out against it. 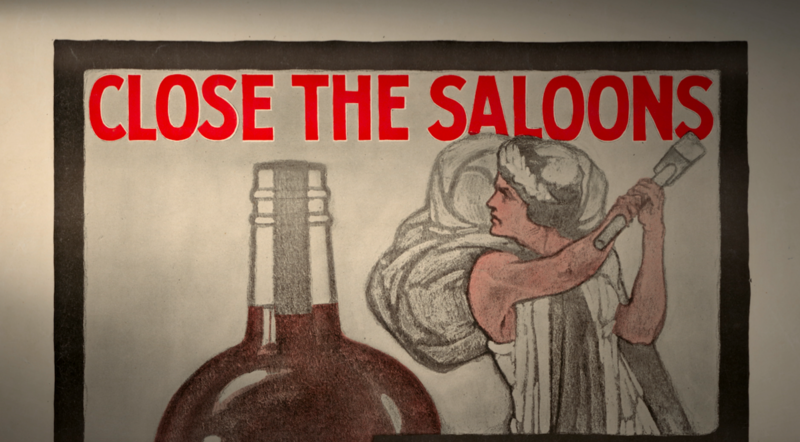 Uncover the secrets of America’s most intoxicating era. The two-part special premieres Monday, June 11th 8p ET on Smithsonian Channel. Drinks Crimes Passion, Smithsonian Channel. Bookmark.